We are asking for your help in spreading the word throughout your networks of businesses and employer partners. We are thrilled to be a key partner in the first two international hiring events, a new and collaborative effort on behalf of transitioning Servicemembers, Veterans, and family members. The European Theater Transition Summit will consist of two events taking place from November 3rd through 6th, 2014. The first event will be hosted at Ramstein Air Base on November 3rd and the second will be hosted at the United States Army Garrison Bavaria on November 5th and 6th. 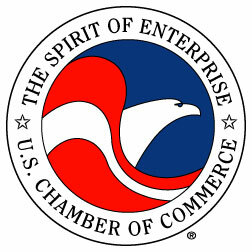 In partnership with the U.S. Chamber of Commerce Hiring Our Heroes Foundation, U.S. Department of Defense’s Transition to Veterans Program Office, the U.S. Air Force, the U.S. Army and Soldier for Life and Installation Management Command, the U.S. Department of Labor, the Small Business Administration, and the American Chamber of Commerce – Germany, these two events will support approximately 6,000 transitioning Servicemembers, the vast majority of whom will be coming back to the U.S. following their service. VA and its partners will be fully represented and engaged while you network with potential employees, hear from government and private industry leaders through panel discussions, interactive forums and workshops, and promote your company through hiring fairs. Lufthansa Airlines and Hilton Worldwide are generously offering discounted airfare and hotel accommodations to provide participating partners, employers, and service organizations a full package of discounted flights, hotel room blocks, and organized transportation from when you land in Germany to your time of departure after the conclusion of the summits. Upon registering as an employer here, you will receive a full logistics packet including a promo code for discounted airfares and fees through Lufthansa. The logistics packet will also include web links for booking discounted hotel rooms through Hilton.